These photos show what a dramatic difference properly applied cosmetics will make. You wouldn't believe it's the same woman. This farmhouse is nothing like the one I rented all those years ago! Many years ago, I was sitting in a rented farmhouse trying to figure out how to win the lottery. Sports betting is different to lottery playing in many ways. SuperBowl and horse betting is quite different to the Mega Millions. But there is advice we can get from the betting professionals and apply it to our own playing. After all, some of these players put up to $2 million dollars a DAY on the line, so it would be silly to ignore their wisdom. Notice how whenever someone wants you to know how lucky you are, they always say, "It's better than winning the lottery." That's because there is NOTHING better than winning the lottery. 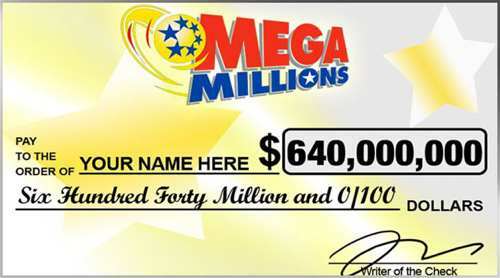 Of all the big breaks you can have in your life, nothing comes even close than the elation and permanent change from winning large sums of money. Part of the old Lotto-80 screen sample. 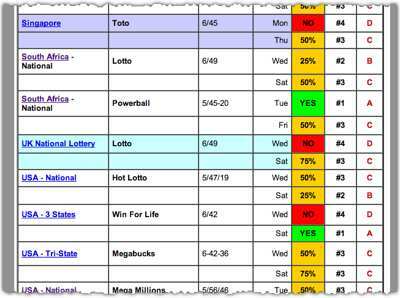 As I was finishing the LottoPredict chart recently, I happened to take a look at an early Lotto-80 page, as it was known then, done some years ago. As I was finishing up this week's LottoPredict just now, I started to think back. I can't exactly remember the moment I discovered it. I can remember other things back then quite well, such as the birth of my daughter. But this almost-as-important event, not so. Spanish tennis champion Rafa Nadal is a fan of Aston Martin too. A few years ago my wife and I were sitting in our lawyer's office for some reason or other. I think we were redoing our wills. And in the course of the conversation, our lawyer was talking about assets and the need for protecting them. He didn't know much about us then. "After all, it's not like you have an Aston Martin in the garage or something," he said, in a stage whisper. Why Do You Never See Actors Go To The Bathroom In A Film? Gunslinger Clint Eastwood is sometimes seen in a bath, but never the toilet. Why is that? Ever watch a Clint Eastwood western film? Have you ever seen him or the other actors go to the toilet? It's one of the most essential actions in our lives, but like eating, you rarely see actors perform these essential functions. Tanya Jimmy and her husband claim a $1 million prize from the Canada Max game. Each day, as I fill out the "Playing This Week" section in the right hand column of this blog, I wince in despair. And it's all because of the jackpot prize numbers I'm updating. I like Eric Barker. As well as being a genuinely nice guy, he writes a blog called "Barking Up The Wrong Tree." It's about secrets for getting on in life, and he finds a way of presenting really interesting stuff in a way that's easy to read.